Problems with your electrical system can occur anytime of the day or night and sometimes you can’t afford to wait until morning to call an electrician. From faulty wiring creating fire hazards to faulty equipment causing your business to haemorrhage money, the emergency electricians at Dr Sparky Electrical can help. No matter the time, day or night, you can rely on us for urgent electrical services in the Perth area. 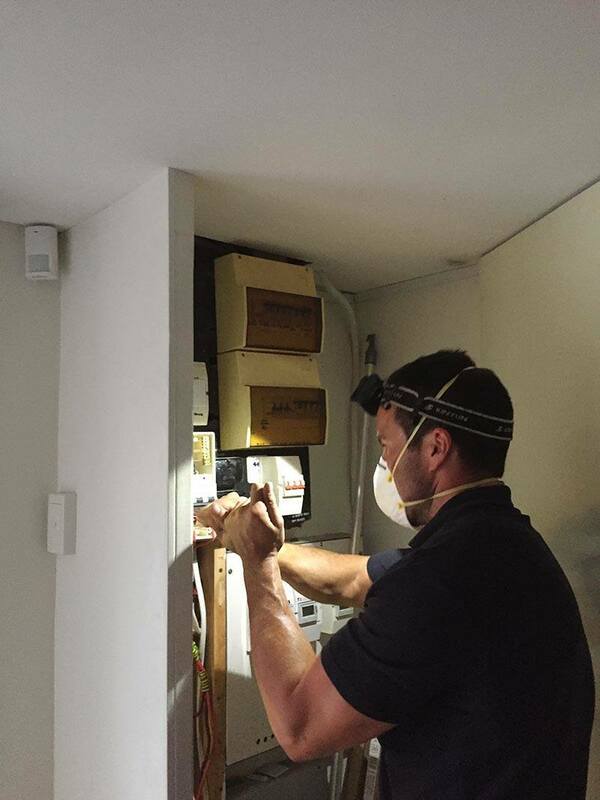 Whether it’s 2pm or 3am, our team is dedicated to providing you with the best electrical services in Perth. We maintain the highest standards through ongoing education and regular training for all of our electricians. We use a sophisticated rostering system to ensure that your electrician will be well-rested and ready to go, not matter what time we get your call. All our emergency electricians are fully compliant with all OHS standards and have a focus on customer service, quality workmanship, and attention to detail. While most electrical problems are urgent to a point, not all require an emergency electrician. At least that’s the case around the home. When it comes to problems with the power in your business or industrial operation, you may be losing so much money that even a minor problem will count as an emergency! Even then, some problems can wait whereas others require urgent attention. So, when is the right time to call one of our emergency electricians? For many electrical problems, it’s annoying to wait until the morning or Monday to have it fixed. But, considering the extra cost of 24hr electrical services, it’s worth waiting to get the TV working again or fix that flickering light. Smoking Outlets – If smoke is coming out from anywhere but a fireplace in your home, it’s an emergency. In fact, turn off the circuit breaker and call the fire department to check for signs of fire. Once your house is definitely not burning down, get in touch with our emergency electricians. Wet Wires – If flooding or a leak has brought wires into contact with water, you should get the problem dealt with ASAP. No Power, No Blackout – If your home has no power, but the rest of the neighbourhood is unaffected, you should call us immediately. Frequent Power Interruptions – If your power is cutting in and out all the time, and circuit breakers are regularly flipping, you have serious problems. If this is happening at night or on the weekend, call our afterhours electricians to find the problem in your wiring and fix it before it causes serious trouble. If you are experiencing an electrical emergency in your Perth home or your business operations have been forced to a standstill, contact us today. We can get the problem fixed quickly and professionally. Call us on 1800 377 727 any time, day or night.